At the age of 16 – back in 1997 – I was using products that were totally unsuited to my teenage skin. My friend Lucy suggested that I should come into the salon that she worked in, and have a facial. I had a Guinot Cathiodermie facial, and I had a Dermalogica facial. I fell in love with the Dermalogica range right there and then. The cleanser – which turned out to be ‘Special Cleansing Gel’ was in my mind, the nicest thing I had ever felt on my skin – no wonder looking back on what I had been using. Fourteen years on, I still love Dermalogica. I think I know about every product in their range. I think no matter what your skin condition or ‘type’ – if there is any such thing – there are products in the range that work for every skin, and every skin concern. Their range has grown and grown since I started to use it in the 90’s. They now have 8 ‘product systems’ – Ultracalming, AGE Smart, Skin Health, ChromaWhite TRx, mediBac Clearing, Shave, Daylight Defense and Body Therapy . Products are catagorised to deal with skin conditions, rather than labelling the skin as, for an example, ‘normal to dry’. Products from each of the product systems can be mixed depending on specific concerns – for example for someone suffering with sensitivity, uneven skin tone, and ageing – can be prescribed products from different areas of the range that will address all of those concerns. Different combinations of the products work for each individual. I have regular Dermalogica facials. I can’t recommend, to anyone travelling to Los Angeles or living in Los Angeles, their salon on Montana Avenue any more highly. In the UK, or any other part of the world, their website http://www.dermalogica.com has full list of where you can buy their products, have a treatment or skin mapping done. Their products are everywhere, literally everywhere online. However, they do recommend having products recommended by them for your skin. There are skin bars popping up all over the place which is really handy – to do exactly this – I passed one in Westfield shopping centre last week. Even speaking to a therapist in a salon would be useful rather than just blindly buying what sounds suitable online. If you get the correct products they are really effective, so it is worth having them prescribed for you. 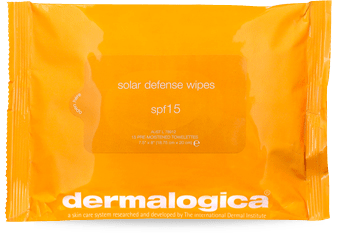 Here are my top 10 Dermalogica products – this list could have gone on!!!! 1) Special Cleansing Gel – Soap free, but foams beautifully. Lightweight gel cleanser. Doesn’t strip moisture, and it couldn’t feel softer on the skin. 2) Precleanse – If I’m wearing make up I love to double cleanse, if I’m not I may be a bit lazier. Precleanse was designed, as it’s name implies, to use before your regular cleanser. It’s an oil cleanser that you apply to dry skin and eyes, add a little water , massage all over – by this point it will be a milky liquid – splash it off and cleanse. It also smells divine. 3) Daily Microfoliant – Dermalogica’s top selling exfoliator – a rice based enzyme powder. A daily treatment that takes 60 seconds and leaves your skin feeling smooth and looking radiant. I pour a small amount of the powder into damp hands, lather it up and rub onto my face and decollete for a minute, after I have cleansed and the skin is still damp. 4) Skin Hydrating Masque – It’s a clear gel – recommended to leave on for 10 minutes according to the packaging. But it’s also fabulous for flying, and even sleeping with it on if needed. Soothing for the skin whilst restoring moisture. 5) Daily Defense Block SPF15 – I switched from using the super popular ‘Skin Smoothing Cream ‘ to Daily Defense Block after it was recommended to me in a facial. It’s technically from the men’s range but that doesn’t mean it’s not suitable for the women! I love the built in SPF. For my skin right now this is the perfect moisturiser for me from the range – it probably wouldn’t have been the one I would have selected if it hadn’t been suggested in a treatment which is why I think it’s quite helpful if someone sees your skin and advises you. 6) Hydrating Booster – I’m sure I’m not alone with dehydrated skin from time to time. I know I need to drink more water. And exfoliating helps too! In times of need – actually daily I should probably use it – there is skin hydrating booster. Sometimes I add a few drops directly to my skin before moisturiser, and sometimes I mix it in with my moisturiser. 7) Powerfoliant – I wouldn’t recommend this for every skin necessarily – especially not sensitised skins. It’s an incredibly powerful exfoliant that slightly tingles for the three minutes it is on. My skin feels in effect brand new when I rinse it off. Bright and fresh. 8 ) Sheer Tint SPF15 – I mix this with ‘Daily Defense Block’ when I want a little colour in the mornings. I used to also mix ‘Day Bright’ with the two – a fabulous discontinued Dermalogica moisturiser. I am still sad that I can no longer get it, there is nothing else quite like it. Sheer Tint comes in three shades – light, medium and dark. Really nice product and great to mix. 9) Waterblock Solar Spray SPF30 – So easy to apply, the lightest spray possible that gives the skin great coverage whilst in the sun. It also makes skin look healthy and moisturised, almost as though a quality body oil has been applied!! It takes me about 3 minutes to do my whole body thoroughly with this, unlike the lotions that take forever to rub in. Highly recommend…. Only thing to point out – bottle can leak slightly after some use. 10) Clearing Mattifier – Part of the fabulous mediBac range. This is a product that I use before my moisturiser in the mornings if I’m having problems with my skin. If I get breakouts they tend to be on my chin, I find breakouts very frustrating as I’m sure everyone does. This product helps to miminise future breakouts by clearing congested follicles. This list could go on and on, it really could, there are so many products I haven’t mentioned that I use constantly. If you know what you need product wise, lookfantastic.com is a great place to buy Dermalogica – free worldwide delivery, and more often than not – very impressive prices…. However for a skin centre, skin bar or more information on the products and ranges, go to the Dermalogica website – they say they have over 75000 skin therapists in 50 countries, so that is the place to find your closest one!!! Please tell me which Dermalogica products have worked for you. I really love reading opinions on products in the range. Click on this link for Dermalogica on Montana – my very favourite place for a facial, which they do in your own little pod. You can even chose your own music! A perfect combination of relaxation and an effective facial. Have you tried the Multivitamin Power Firm for eyes and lips? Love the blog! Yes I use it daily!!! It is the most fabulous texture isn’t it? Thanks so much for your comment!! Have you tried the Dermalogica Multivitamin Power Firm? Love the blog! After reading your article I was compelled to try the clearing mattifier on my combination skin. Am prone to a very oily forehead and nose and breakouts there – which are probably not helped by my massive over application of YSL’s loose powder in an attempt to counteract the oiliness! Have just applied dermalogica clearing mattifier for the first time. 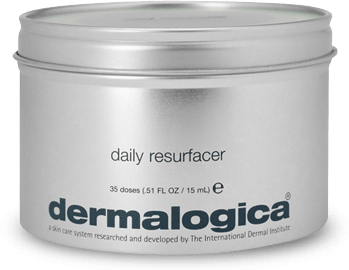 I love love love Dermalogica products – I am so glad a lady in a hotel in Malta told me about Dermalogica when nobody here in Germany had ever heard about it !